Do you feel your appearance is looking tired and faded??? Fading features can easily be restored and corrected WITHOUT SURGERY! Now you can restore your natural coloring and shape without surgery or painstaking daily makeup application. 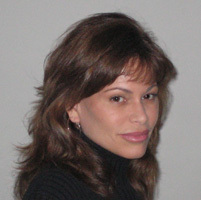 Laurie Ke, RN,BS,CPCP, appears as natural hairstrokes,thicker lashes, and normal lip tone. It restores your original youthfulness. Micropigmentation is NOT harsh, unnatural colors or shapes. Each individual is worked with very closely to match their precise coloring and shape to restore and enhance their natural features in a personalized consultation. Add Youthfulness to Your Appearance! � 2004 Advanced Image Artistry, All Rights Reserved.